In its second year of existence, the initiative “Austrian Music Export”, founded in 2011 by mica – music austria and the Austrian Music Fund, can report positive results. The music export activities that were initiated in past years were successfully continued and extended. The various activities of the Austrian music export office range from financial support for international performances of local artists, international networking and promotional activities, information on target markets, to the organization of music conferences and festival presentations. 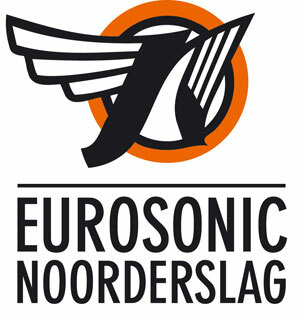 Highlight and acknowledge for the successful work of the organization is the invitation as the focus country of the renowned Eurosonic Festival (NL) that has invited 18 local bands to the Netherlands in January 2014. With this “Focus on Austria”, the music industry expects both an immediate and sustainable upswing. In January 2013, the four Austrian Bands Steaming Satellites, Gasmac Gilmore, AG Trio and Mile Me Deaf were already able to successfully present themselves to an international audience at the festival. In the year of crisis, the largest international music fair MIDEM focuses on synergies in the economy and support of marketing and start-up companies. 28 Austrian companies and organizations were presented in January 2013 at the Austrian booth. The center of attention was set on live music: with the slogan “Austria Sounds Great”, the Austrian showcase at MIDEM presented Trio Fidelio, Eva K. Anderson, The Bandaloop and Stereoface in Cannes. Since 2012, an event series by the name of “Vienna My Love” has been organized in several European countries, with the cooperation partners go international, the Austrian Cultural Forums and Waves Vienna. These network and concerts events have so far found keen interest by both the local industry and the guest countries Poland, France, Slovenia and Belgium. The series will be continued in 2014. The music fair Classical:NEXT, which was held in 2013 for the first time in Vienna, gave an important impetus for the classical and contemporary music sector. The new classical music fair sets strong accents on contemporary music and the future marketing/networking of classical music. More than 60 musicians, ensembles, agencies and companies from Austria attended. The local organizers of the Classical:NEXT, which will again take place in Vienna from the 14th – 17th of May 2014, also succeeded in convincing Naxos – the world’s largest distributor of classical music – to hold their annual meeting with all distribution partners for the first time at the Classical:NEXT 2014 in Vienna. 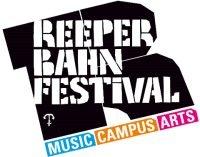 In the field of contemporary music, promotional activities focused on the Donaueschingen Music Festival, Huddersfield Contemporary Music Festival and Wien Modern. 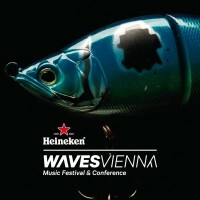 In its third year, the Waves Vienna Festival was also able to score as an exchange platform between East and West and as an international showcase for approximately 50 local artists. In addition to an increased number of festival visitors, the introduction of the sister festival “Waves Bratislava” was a successful highlight in terms of the main theme “East meets West”. 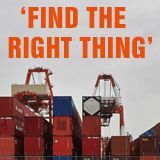 The important work of establishing the export office found its recognition at the Reeperbahn Festival in Hamburg, which is probably the most important German industry event for Austria. With numerous label presentations, showcases and concerts, a record number of Austrian bands were presented to the German and international (fair) audience in 2013. In addition to nine showcases by bands like Kreisky, Naked Lunch or Left Boy, a presentation on the “Eurosonic 2014: Focus on Austria”, as well as a networking drink hosted by the Austrian Music Export, offered the opportunity to discover the Austrian music scene and its current artists. The jazzahead! in Bremen – an important international meeting point for the Austrian jazz scene – was also able to generate a lot of interest for domestic business firms and artists. The international significance of jazzahead! was impressively underlined with an exhibitor growth of 28% compared to last year and an attendance record of 11,500 visitors. In 2014, the Austrian ensemble Kompost 3 and Rom-Schaerer-Eberle will perform at the European Jazz Meeting of jazzahead!. WOMEX, which took place in Cardiff, Wales (UK) in 2013, was able to assert itself as the most important international expert forum for the local world music scene. Thus, more than 20 Austrian participants have already pre-registered for the WOMEX 2014. 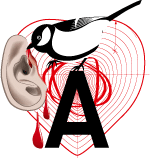 Above that, in 2013 numerous Austrian artists presented themselves at prestigious industry events such as SXSW (Austin, U.S.), Primavera Festival (Barcelona, ​​ES) , ℅ Pop (Cologne , DE) and the Europavox Festival in France. Besides working at international festivals and exhibitions, current local music of all genres is promoted via the website www.musicexport.at, an extensive music database (db.musicaustria.at), the new sheet music and MP3 online store (shop.musicaustria.at) and the Austrian Music Export Newsletter. Another information source for local quality music scene is the www.musikfonds.at website with information and audio samples from more than 500 supported productions. Consulting services for local musicians and their economic environment in the form of workshops, brochures, online practical knowledge, personal career and legal advice assist in providing the necessary knowledge for international activities. These extensive projects in the areas of international presentation, networking and promotion of local music were successfully implemented thanks to an intensive development and exchange process with numerous funders and partners. Austrian Music Export is supported by AKM/GFÖM, AUME/SKE, go international – an initiative of WKO and BMWFJ, BMUKK, BMEIA, IFPI, FAMA/WKO , the Cultural Department of the City of Vienna, as well as numerous project partners. The introduced brand name “Austrian Music Export” as a joint initiative of mica – music austria and the Austrian Music Fund received positive response from the national industry and international partners, enabling a more powerful implementation of common export priorities. “We are very excited about the recent successes of the initiative “Austrian Music Export” as a collaboration between the Austrian Music Fund and mica – music austria. By joining forces with different financing sources and cost-effective projects, sustainable internationalization impulses are being established and maintained for local musicians and industry players. Thus, Austria should be positioned as a fortified music country on the international music map – especially regarding contemporary music creations”, Harry Fuchs (Austrian Music Fund). For 2014 the plan is to continue supporting the local music scene. Enhancements in the area of ​​international tour support, marketing promotion, management support, a multi-year jazz/world music emphasis and the expansion of international networks are additional objectives for a gradual development of export promotion. “Given the size of the domestic market, promoting local music beyond Austrian borders is a must. The broad support by various institutions for the Focus on Austria at the Eurosonic Festival gives hope for the necessary establishment of basic funding for the Austrian Music Export”, Sabine Reiter (Executive Director of mica – music austria). The new year begins with a positive highlight in terms of internationalization efforts: 18 local acts – from Attwenger to the Vegetable Orchestra, from Koenigleopold to Trains Of Thoughts – will form the “Focus on Austria” at the major European showcase festival Eurosonic Noorderslag 2014. “Both the number and the diversity of the selected artists once again verify the vibrance and high quality of the Austrian music scene”, Tatjana Domany and Franz Hergovich (Austrian Music Export). The core task in the coming months is to continue the path of conveying this internationally and to further promote the positive development of recent years.